Lately, you’ve been feeling stirrings from another world pulsing deep within you. You’ve touched every card in your tarot deck, you’ve rearranged all of your healing crystals...we guess there is nothing left to do but go all in on your intuition, now! 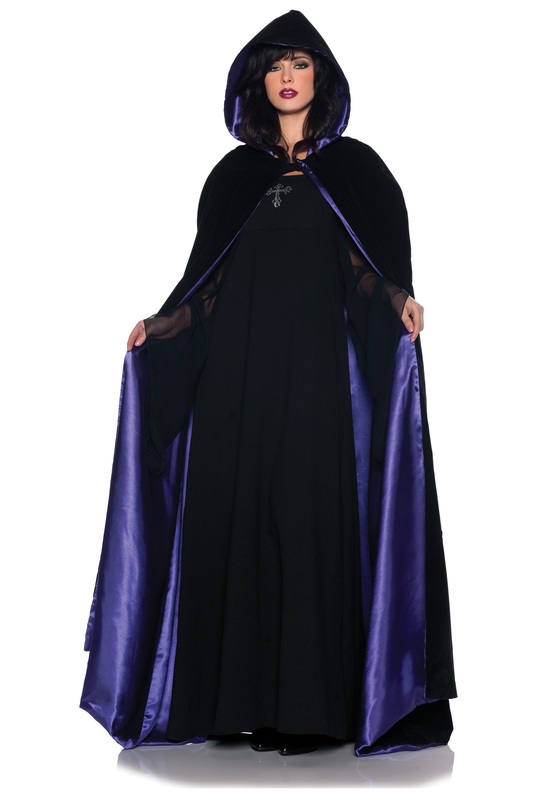 You can master your mysterious and mystical look this Halloween when you wear this Deluxe Velvet & Satin Hooded Cape, thus completing your transformation. We know you caught a glimpse of yourself in your crystal ball, and you were wearing this luxe long purple satin and black velvet robe. Don’t fight it; give into what the stars have in store for you. The look will work great whether you’re feeling like a wicked witch, sensitive seer, or dark sorceress. Just be sure to save your magic for those who truly deserve it; it’s too precious to waste!